Taking first place at the Scripps National Spelling Bee is no walk in the park, but now officials are looking for ways to make the competition even more difficult. Starting this year, participants will be asked to spell harder words—and a lot more of them—in the final rounds of the event, the Associated Press reports. 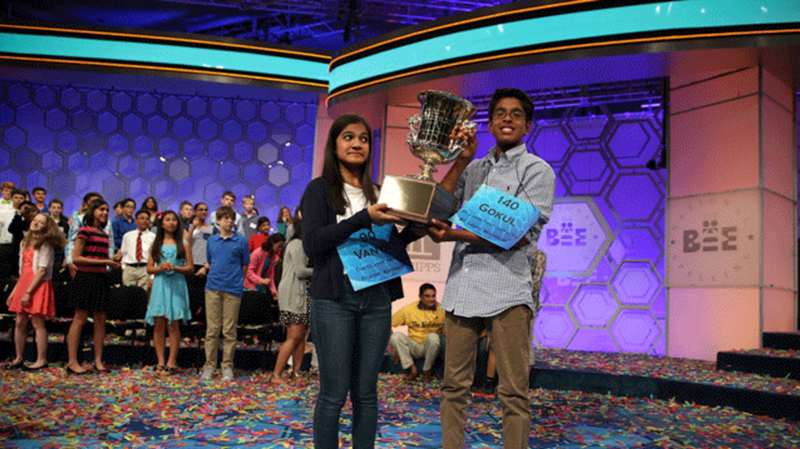 Since ESPN began airing later rounds of the spelling bee in 1994, it's grown from a niche competition to a television event. And as the popularity of the competition has increased, so has the skill level of its competitors. Both last year's and the previous year's championships ended in ties. Before that, there hadn't been a tie in more than 50 years. Now, in an effort to ensure only one speller is left standing, Scripps will be expanding the list of 25 championship round words to as many as 75. Organizers will also have more difficult words to choose from if they feel the competitors aren't being properly challenged. In the final rounds of competitions past, officials had always been limited to a strict list of "championship words" pre-selected weeks beforehand. The new change is intended to make it so the words get harder as the competition goes on, which, according to some previous finalists, hadn't always been the case before. The AP says that both current and veteran spellers are happy with the updates as they will lead to fairer outcomes in the future. The more challenging championship will also come with an appropriately larger cash prize—$40,000 (up from $30,000) for first place, $30,000 for second, and $20,000 for third. That's a change everyone can get behind. The final onstage rounds of the 2016 Scripps National Spelling Bee will take place on May 26, and with the word list potentially tripling in size you can expect the event to run past its usual wrap time of 10 to 11 p.m.